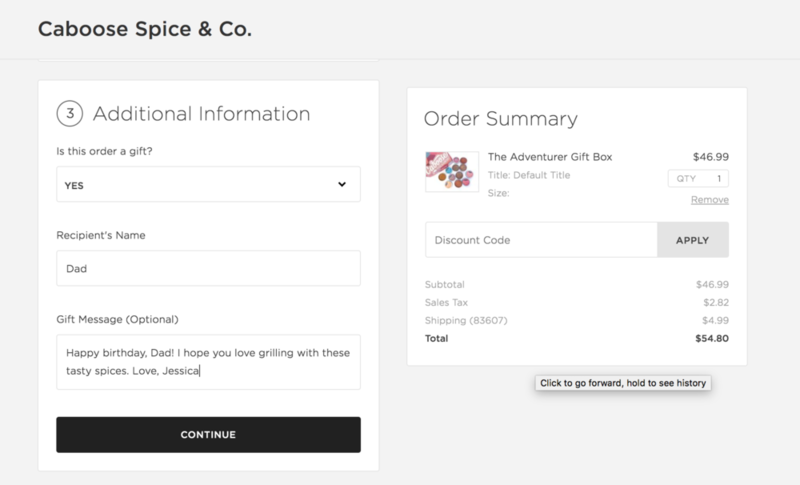 Add your gift item(s) to your shopping cart. Enter your email and shipping address in boxes 1 and 2 at checkout. If you’re shipping directly to your recipient, please enter their shipping address. In box 3, mark your order as a gift, and insert the recipient’s name and your gift message. Finish filling in payment information, and then click continue. Review your gift note and information and make sure it’s correct. Click purchase. We’ll hand-write your gift note on a nice card and include it inside the box.